In Echoes of Hungry Blood, Solo, a disenchanted doctor, leaves his practice in Accra to work in a village, where he is presented with the challenge of caring for those who have committed crimes against his family. His decision has severe ramifications that lead to regret and eventual deliverance. In The Last Next, Solo returns to the city and remarries. His new wife is soon diagnosed with a terminal illness and, unable to cope with the pain, she asks him to euthanize her. His agreement and the ensuing murder trial and conviction become a journey of growth and redemption. 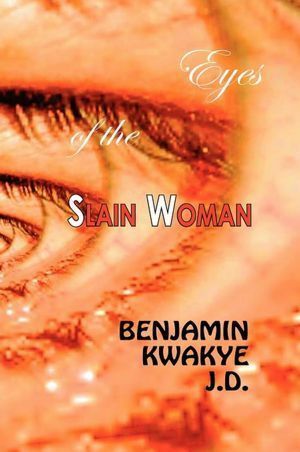 Eyes of the Slain Woman narrates the harrowing experiences of Ma Ebo, a long-widowed woman, following the murder of her son. A friend persuades her to visit her son’s murderer in prison and in the process finds healing and the liberation of forgiveness.